Last modified on October 16th, 2014 by Joe. 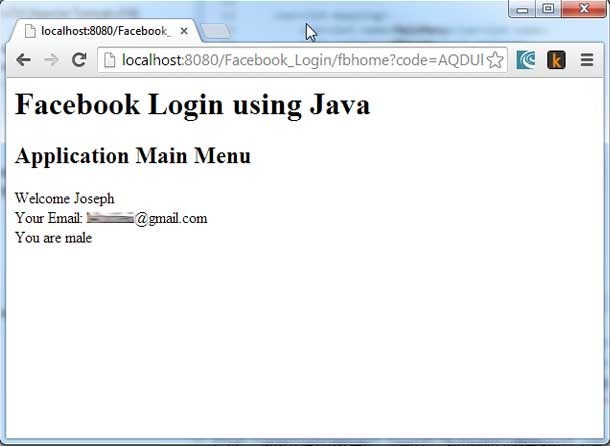 This Java tutorial is to help implement authentication in Java using Facebook OAuth Login API. We will be using Java and a JSON parser API and other than that we will not use any third-party component. Facebook is not providing any sdk for Java client. Apart from Spring Social I couldn’t find any reputable Java SDK for Facebook integration. With a Json parser we can handle everything ourselves. In this tutorial, we will see how to use Facebook to implement an authentication in a custom Java application and get Facebook profile data like name, email and gender. We need to specify the application callback url in the FB settings. This will be used by the FB server on authentication to hand back control to our application. There is a lot of discussion about how Facebook will directly call our “localhost” as it will not be visible to it. 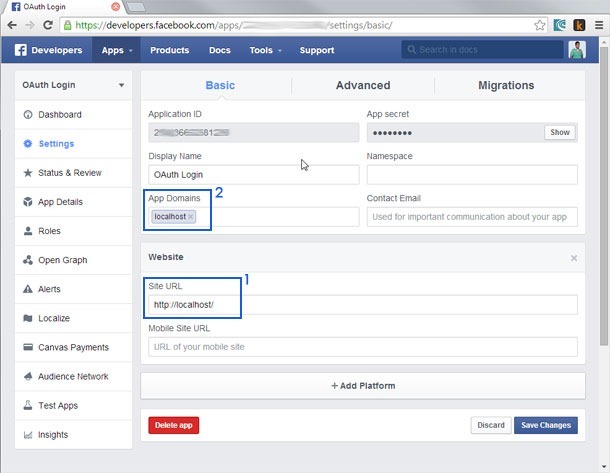 Facebook will never call the application URL directly. A request will be sent back as response to the client browser with the callback url. The browser does the request. 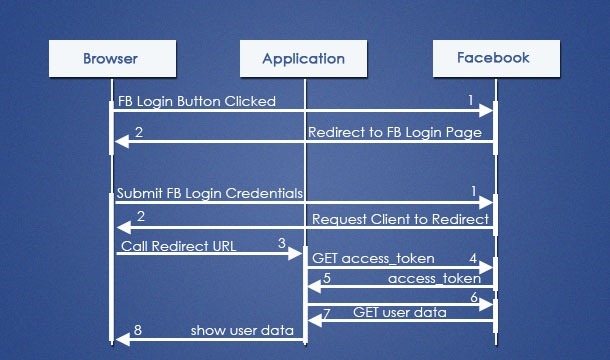 A sequence diagram given below explains the flow of control in authentication using Facebook OAuth. 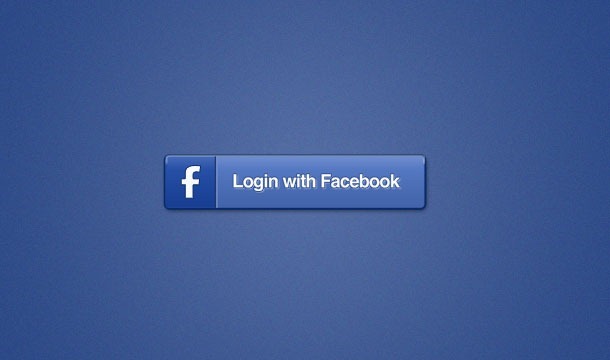 On access of an url or in welcome page the Facebook Login button is shown. The user will click the FB button to login into the Java web application. On click of that button a Facebook URL will be invoked. 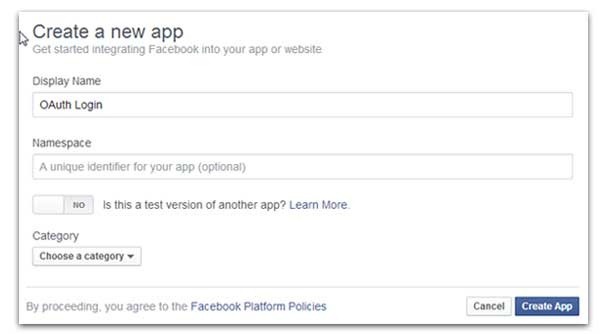 Facebook will validate the application ID and then will redirect to its login page. User will enter the FB login credentials and submit the form. Facebook will validate the credentials and then redirect back to the browser with a request to forward to the redirect_url. Redirect_url is the URL in our application which will take care of further processing. Browser will call the redirect url. Redirect URL page will again call the Facebook to request for access_token. Facebook on validation success will respond back with access_token. Redirect URL page will again call the Facebook to request for user data by sending the access_token. Facebook on validating the access_token will respond back with user data requested. Redirect URL page will forward to a page showing user data in the client browser. Screen shot shown in the start of this tutorial is the login page in our application and following is the code. Following is the page the Facebook issues a redirect request to the browser. fbLoginUrl = "http://www.facebook.com/dialog/oauth?" + "client_id="
+ "client_id=" + FBConnection.FB_APP_ID + "&redirect_uri="
throw new RuntimeException("Unable to connect with Facebook "
throw new RuntimeException("ERROR: Access Token Invalid: "
Comments on "Java Facebook Login with OAuth Authentication"
Sound interesting. But did u check Apache Oltu – oauth protocol implementation in java. can u help me out from this problem. No, I have tried Apache Oltu yet. Will try soon and post a tutorial on it. You have almost got there. You are getting error at the last step, when you get profile data. Comment email and gender. Get only the first_name and see if it works. This is really very nice and in details. I was trying your application.I have added servlet-api jar and running with java 7 and tomcat 7 .it is giving 404 error for fbhome not available. sorry joe. that was my mistake.its working. the app is on my account. i am able to login and get the profile data. but when i login with other account its showing the blank page. how to get friendslist from my account please send me that proper working code for getting friendsist …. Very good article. Just added your solution to my customer’s work. will this work with the jboss7 server? Yes Mahesh. This should work in Jboss too. This solution is not dependent on any application server. how can i get different user detials. I have implement fb login in my app.first i have make jsp file and implement fb login button cde in that jsp. then when user login thruw that jsp it responce me accesscode and profile details.but i have to reverify user profile details in my java code thruw that accessToken.so for that i have use that “https://graph.facebook.com/me?” + accessToken” call but it will give me 400 error. can you tell me way to get user profile details. how did u do it joe? its working, thank you so much.. Comments are closed for "Java Facebook Login with OAuth Authentication".